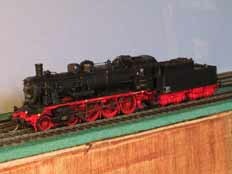 Railways Page: 0-gauge Southern Railway; HO Deutsche Reichsbahn, Southern Pacific, Cotton Belt and more. Here we go then - down to brass tacks. So far these pages have been populated with a 'photo survey' kind of approach to the more recent models. In the future there will be more in the way of 'how to' documents... These are of course tied in with our various layout projects. I'm also exceedingly grateful for the contributions of those who've assisted me in this great enterprise. (Yes; that means you Dave!). You can click on the pictures to move on. 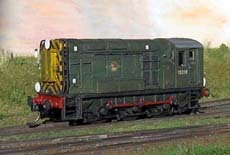 The content of the railways section was last updated on 15/05/2011. You can check the 'News' page here to see what changes have been made since you last visited. 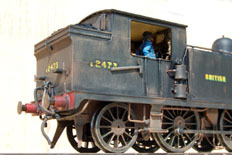 The newest section of the 'site is this information on our BR(S) 0-gauge activities. We hope you enjoy reading about it as much as we enjoy doing it! Deutsche Reichsbahn in EraIII and IV. From the BR38.2 illustrated above to...? Building and detailing stock for the SP and Cotton Belt. 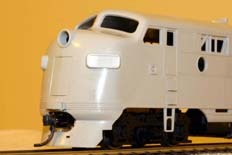 Starting with a P4 and a GP9, with more to follow (when they get built!). Dave and I have recently launched a project modelling the Canadian National scene in the 1970s. There is likely to be a little Canadian Pacific interest as well as representatives from some of CN's subsidiaries. The odd Milwaukee and SOO interloper will also be represented in this section. 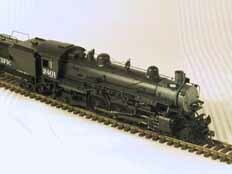 Dave and I both model other odd railways of interest in HO scale, mainly as a diversion from our main interests. 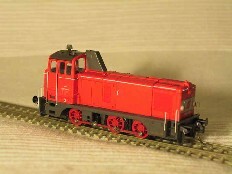 You'll find out about these ÖBB and DRG models here. Simple one this: model railways that don't fit in any of the above categories. This is the 'bizarre and esoteric' bit we were referring to earlier; including some of Dave's American 0n30 and even British rolling stock in a variety of scales. This page last updated 14/05/2011. Copyright © Euram Solutions and Steph Dale 2004-2008. All Rights Reserved.